You want The Mamas & The Papas? Ok, I’ll give you The Mamas & The Papas. Bottom line: they really were a fine group, but not for the reasons you think. Go listen to half a dozen cuts you don’t remember from the second album. 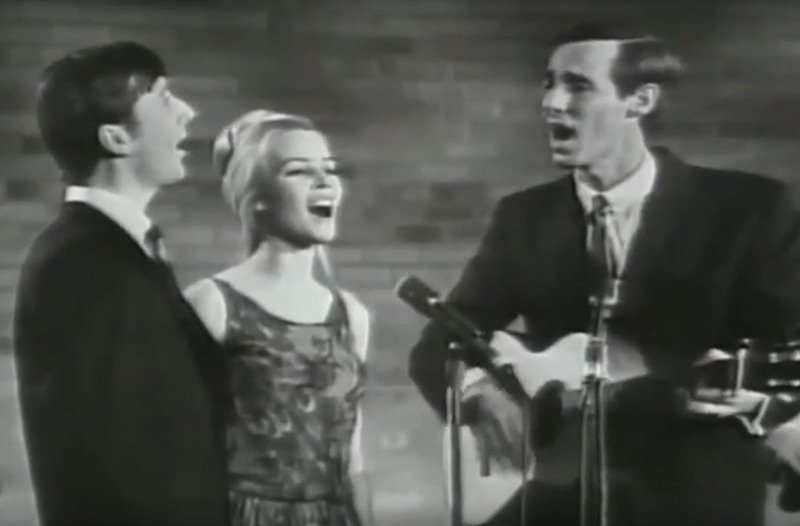 But from its release in December, 1965 through the end of the decade, I heard the song 34,792 times on AM radio. Who wants to talk about it anymore? One hit does not a Great Group make. ‘Monday, Monday’, same thing. Heard it 21,436 times during those same years. ‘Dedicated to the One I Love’ a mere 16,847 times (but if you really want to, you can add the 3,586 times I heard the Shirelle’s original). Virginia, if you want gold, you gotta dig beneath the surface. Ok, the aforementioned triptych are gold, but they no longer glitter. The groove has been worn away by the myriad playings. 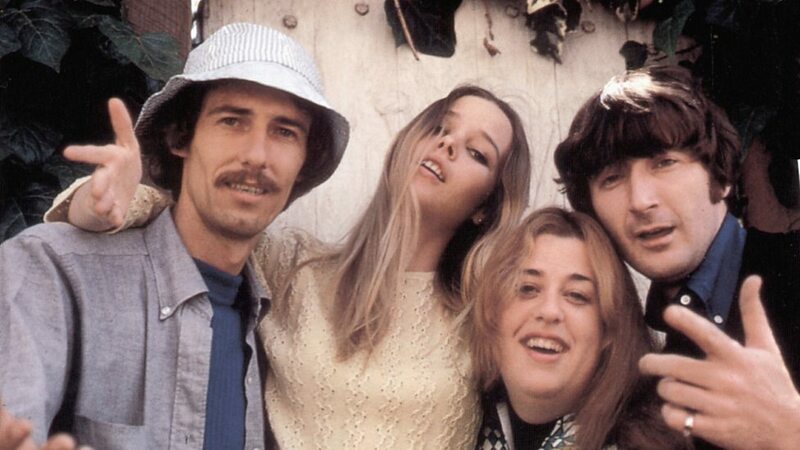 With your permission, I’m going to take you on a quickie tour of some of the lesser known (but in my ears much fresher) fine songs by that very fine group, the Mamas and the Papas. January 1964, The Beatles capture America, and in their wake the entire British invasion. But ‘Rock’ was an imported delicacy. America was in the throes of the Folk Movement, and all of the incipient attempts to create native rock came from there. Folk-rock. The Byrds’ ‘Mr Tambourine Man’ – April 1965. ‘Like a Rolling Stone’ – July 1965. ‘Sounds of Silence’ – September 1965. The Lovin’ Spoonful’s first album was released in December 1965. The Mamas & the Papas’, January 1966. Al Kooper’s Blues Project in May 1966. TMatP were a folk-rock group, based on John Phillips acoustic guitar and often-great songs, always great vocals from Denny and Cass, a finely tuned rock engine provided by the all-star studio musician collective The Wrecking Crew, and chock full of terrific grandiose arrangements under the baton of producer Lou Adler. 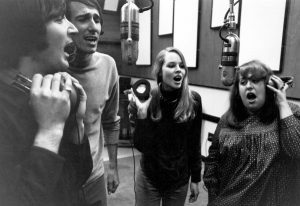 They were, together with The Byrds and The Spoonful, the first creative American rockish groups of significance. Songwriter/guitarist John Phillips and his cheekboned wife Michelle, together with Denny Doherty, were riding the folk wave as The New Journeymen. Way back in mid-1964, Denny had teamed with Cass Elliot (formerly Ellen Naomi Cohen) and fellow Canadian Zal Yanovsky in a group called The Mugwumps, which recorded a very cool rock album including The Coasters’ ‘Searchin’ (not coincidentally one of the first songs recorded by The Beatles, 1962; Bo Diddley’s ‘You Can’t Judge a Book’; and ‘Do You Know What I Mean’ by Felix Pappalardi, later founder of The (Young) Rascals. Zal went on to join John Sebastian in The Lovin’ Spoonful. 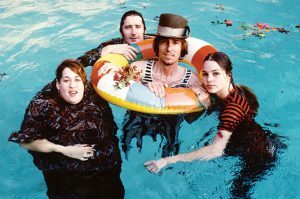 The three of them hooked up with Cass in the Virgin Islands and became The Mamas & the Papas. This whole saga is recounted in ‘Creeque Alley’. It’s the one everyone knows. In addition to the two iconic singles, the only song that holds water for me today is the original ‘Go Where You Wanna Go’, a pretty good song with a progressive attitude towards his wife’s legendary philanderings. The album includes four forgettable Phillips originals (‘Straight Shooter’, ‘Got a Feelin’, ‘Somebody Groovy’, ‘Hey Girl’); three rock ‘oldies’ slowed down and spruced up with sweet harmonies (the Beatles ‘I Call Your Name’, Bobby Freeman’s ‘Do You Wanna Dance’ and Phil Spector/Ben E. King’s ‘Spanish Harlem’); and closes with a couple of other borrowed fillers (‘You Baby’, ‘The In Crowd’). That, even for most people willing to look beyond those two consecutive #1 hits, is The Mamas & the Papas. For my two scents, they’re barking up the wrong tree. Even though the album was a commercial success (#4), I’ll bet you don’t remember it. It included their next single, ‘I Saw Her Again Last Night’ (#5), a fine, fine song, all the fresher for not having been played to death. That was followed by ‘Look Through My Window’, an equally affective description of the tempestuous John/Michelle marriage (she had been temporarily expelled from the group following her affair with Papa Denny, but it only charted at #24. ‘Look Through’ for some reason wasn’t put on this album, only on the third. They scored another satisfying hit with ‘Words of Love’ (#5), the first single to feature Cass as lead vocalist rather than Denny. But, oh, the rest of that album. You probably listened to it a few times 50 years ago and have therefore forgotten it, although the album reached #4, and should have left more of a mark in our minds. Alas. That’s where the gold is. Six knockout John Phillips originals that you don’t remember. But you should. ‘No Salt On Her Tail’ – a glorious, epic opener, with an organ solo a la KoopeRoolingStone (by Ray Manzarek of the Doors!). According to folklore, putting salt on the tail of a bird prevented it from taking flight. I guess John tried it on Michelle, to little avail. ‘Trip, Stumble & Fall’ is TMatP at their peak – lyrics, composition, arrangement, performance. This is the gold in them thar hills. ‘Dancing Bear’ is an ancient Russian folk tale penned by this LA hippie. The song is beautiful. The arrangement is stunning, years ahead of its time. Bones Howe (engineer) and Lou Adler (producer) deserve so much of the credit for TMatP’s artistic (and commercial) success. Much like contemporaries Simon & Garfunkel with their engineer Roy Hallee, Howe/Adler/Phillips weren’t just recording ‘songs’, they were creating ‘records’, each cut with its distinctive sound palette, its unique taste and character. ‘I Saw Her Again Last Night’ – okay, you have a fine song, great singers, and The Wrecking Crew providing the drive. But check out those strings! Where else do you find an orchestra serving a rock context so well? In 1965, yet? Kudos, guys. ‘Strange Young Girls’ featuring Michelle, for a change, a portrait of lost hippiettes. For my money, it’s affective and effective. I don’t have perfect pitch, but I’ve got a pretty sharply honed ear. Does no one else notice the sour tonal near-misses so prevalent in TMatP? ‘Even If I Could‘ – Ahhhh. The strings, the shifting tempi, the major/minor switches, all serving the gestalt of the bittersweet song. Okay, I understand why it never conquered the charts. But what a great example of how a great a great B-side can be. And our SoTW, a long-time favorite of mine, ‘Once Was a Time I Thought’, an almost a cappella ditty. Lots and lots of syllables that even kind of make sense. Sung in unison until the last three jazz-inflected chords. 1:02 of sweet, lovely music. ‘My Heart Stood Still’ is a 1927 Rogers and Heart tune. If not a standout, it’s respectable. The same could be said for ‘Dancing in the Street’. Okay, Cass ain’t Martha Reeves, but who is? It’s fun. Hey, I like ‘fun’. As long as you don’t overdo it. The album also includes two Phillips fillers, ‘I Can’t Wait’ and ‘That Kind of Girl’. Well, no one’s perfect. I won’t mention ‘Think for Yourself’ and ‘The Word’ for fear of incurring the wrath of The Beatle police. Give the album a listen. Tell me what you think. Ain’t that some great music? The third album “Deliver” was a commercial success (#5), buoyed by aforementioned hits ‘Dedicated to the One I Love’, ‘Creeque Alley’ and ‘Look Through My Window’. Other than that? Don’t bother. Which holds even truer in their last two albums, both made to fulfill contractual obligations after the group had in essence broken up. A few years ago I trolled John Phillips solo efforts. They should have been packaged together with most of “Deliver” and all the subsequent recordings and sold as “Fool’s Gold”. Trust me, save your money and your time. Thanks. A fun interesting article. Thank you for highlighting ‘Once Was a Time I Thought” my favorite of the “seldom heard” songs. I think they do their best ensemble singing on that and it’s so much fun. And yes, I too have often wondered what accounted for the strange pitch issues in many of the recordings. It has always sounded to me as if the record I was listening to had been slightly warped. I think it may come down to the mix of their different vocal timbres. 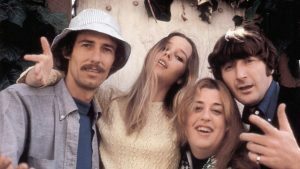 Their music,regardless of the song, conjures up a sunny afternoon somewhere in Laurel Canyon spent picking flowers and weaving them into the perfect daisy necklace. Yeah, that California Myth for sure. 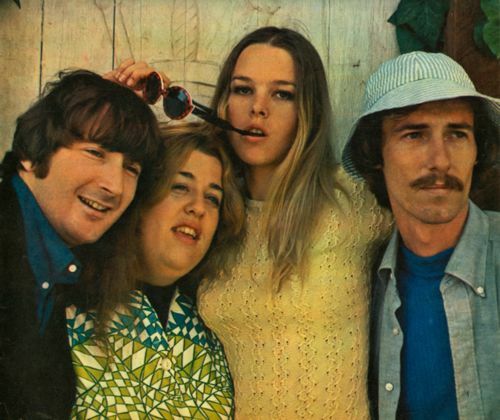 Incidental gossip: I like the story that Graham Nash tells, that he, Stills and Crosby wound up at the same party because they all wanted a closeup look at Michelle. That’s a very funny story.